It will be assumed that in this age and time when matte lip products have literally saturated the markets that the appearance of moisturising and creamy lip products would have disappeared. 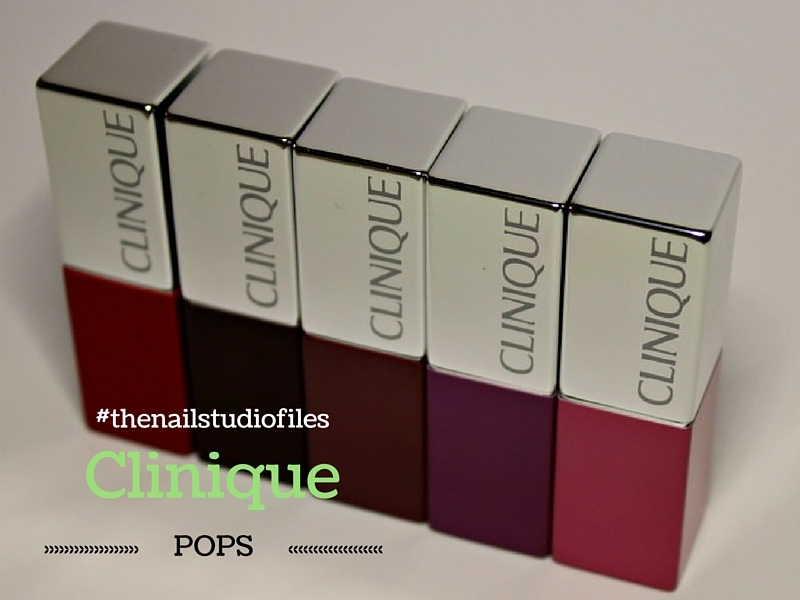 Instead, +Clinique UK developed a new line of lip products which they call 'Lip Pop'. I mentioned 2 of these in an earlier post. It has been a while since I came across such moisturising lipsticks as these. At first I did wonder about them being a blend of a lip primer and lip colour. I gave it a try and now I must admit that I'm kind of sold on them and can't wait to add to my collection of these. I was able to score these at The Nail Studio launch this past Sunday and just couldn't wait to try them out so I quickly took pictures and decided to do this First Impression post of them. I love the new ads for these lip products and since we all know about Clinique's being great for sensitive skin and really gentle on the the skin, we know that these beauty products are definitely allergy tested as well. This eliminates whatever fears we might have about strange reactions to whatever it is that is in this new formulations and we can enjoy them with peace of mind. I haven't worn makeup to work at all this week but I can't wait to try these on in the coming days. What do you think? Are you looking forward to stopping by The Nail Studio to get one of these any time soon?